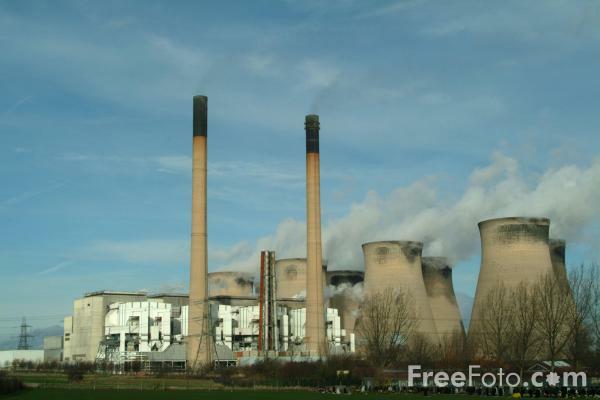 Picture of Ferrybridge C Power Station, a 1995MW coal-fired power station owned by Scottish and Southern Energy plc. The station has two, 198m high chimneys and eight, 115m high cooling towers, which are the largest of their kind in Europe. Since 2003, the station has established itself as the market leader in the effective co-firing of renewable fuels. In the 2002-2003 tax year, the station was responsible for 80% of all co-fired renewable energy in the UK resulting in a 3.5% net reduction of the plant's greenhouse gas emissions. VIEW: More images from the category Ferrybridge C Power Station or around the same time .